June 2, 2017, will mark the 90th birthday of our Parkway Central Library. 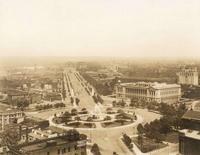 On September 8, 2017, celebrations for the Benjamin Franklin Parkway’s 100th anniversary will begin and continue until November 16, 2018. The Free Library and Parkway projects were a local example of the United States’ first important contribution to urban design: the City Beautiful Movement. Steven Conn’s definitive work, Museums and American Intellectual Life, 1876–1926, argues that Americans built these acclaimed cultural institutions of the early 20th century "with the confidence they could collect, organize, and display the sum of the world’s knowledge," and to attempt historical legitimacy at a time when the young nation was first thrust into a globally prominent role. From his brownstone on Green St., just blocks from where the Fairmount Parkway and the Free Library of Philadelphia would develop, Edwin Fleisher watched the U.S. assert itself tangibly as a cultural and intellectual match to Western Europe, a process in which he played an integral role. 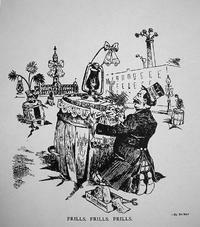 In the late 19th and early 20th centuries, philanthropists from the Jewish community aided and influenced many charities and community organizations in order to preserve their hard-won position within Philadelphia’s high society. Fleisher founded the nation’s first training orchestra, the Symphony Club, and set a precedent for official music education in the U.S. This paved the way for orchestral training in musical institutions such as Settlement Music School and the Curtis Institute of Music. Until that time, aspiring professional classical musicians would have to had attended in European conservatories to acquire orchestral training. Fleisher’s greatest gift to his Symphony Club was the vast collection of orchestral performance sets he acquired exclusively for its use. Having purchased a copy of virtually every performance set available from U.S. sources by 1913, Fleisher traveled six times to Europe in search of scores otherwise unavailable. Fleisher personally met with dozens of publishers and composers, and purchased hundreds of scores to meet and exceed club demands. In May 1929, Fleisher donated the Symphony Club’s massive collection of performance sets to the Free Library. When it had opened its doors two years previously, the Free Library of Philadelphia had been deemed the most technologically advanced library in the world. Appropriately, the world’s most complete assemblage of orchestral performance sets – a distinction still held today – was now housed in a state-of-the-art institution. Join us as we rediscover the origins of the Parkway and the Free Library, chronicle the Fleisher Collection’s founding and donation to the Free Library, and showcase what was state-of-the-art in early 20th-century music. The Fleisher Collection’s latest display, Philadelphia and the City Beautiful Movement, will be on display outside of the Collection from May 1 through August 25. Aerial view of the Parkway, Free Library, and Art Museum, 1929. 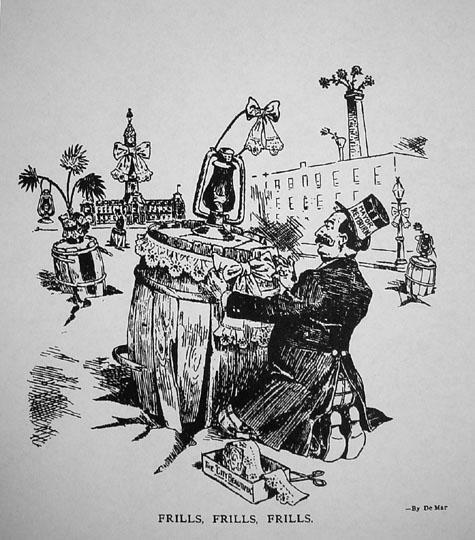 Political cartoon from the Philadelphia Record lampooning the City Beautiful Movement, April 8, 1908.